Apart from the demo, which is now available to download from Xbox LIVE, we also have released a bunch of Avatar outfits, props and unlockables! The props are cool and cute, the outfits are tough and funny, and the unlockables are just another reason to play Fable: The Journey. 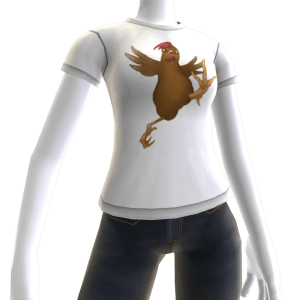 LionHead Studios has given us some Chicken Kicker T-Shirts to celebrate the release of their Avatar Gear in the XBOX Avatar Marketplace. Visit our Facebook Page for details on how you can WIN one of these Shirts! Here is a summary of all the items we released today and where you go to download them for your Avatar character. To download them, pop over to the Xbox LIVE Marketplace. 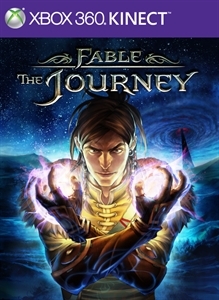 Fable: The Journey Gabriel Gloves. Gabriel wears the ancestral garb of Albion’s northern Dwellers. Now you can too! Fable: The Journey Gabriel Top. Gabriel wears the ancestral garb of Albion’s northern Dwellers. Now you can too! This top is cut from traditional Dweller cloth, though it lacks the traditional Dweller horse dung stains. Fable: The Journey Gabriel Boots. Gabriel wears the ancestral garb of Albion’s northern Dwellers. Now you can too! Fable: The Journey Gabriel Pants. Gabriel wears the ancestral garb of Albion’s northern Dwellers. Now you can too! These pants are cut from traditional Dweller cloth, though it lacks the traditional Dweller horse dung stains. Fable: The Journey Theresa Outfit. Theresa, Seer of the Spire, has wandered Albion for centuries. Her age is remarkable, but the real miracle is that her clothes have lasted just as long, remaining impervious to damage, dirt and the vagaries of fashion. Fable: The Journey Hollow Man Outfit. Wisps are cursed souls, doomed to remain in our world long after their bodies have rotted. All across Albion, they have to seek out corpses to once more walk the earth as Hollow Men. Save yourself the trouble of digging up a body with this Hollow Man outfit. Note: rotting flesh not included. Chicken T-shirt. The muse for generations of artists, writers, and milliners, chickens have been observers and participants at every key moment in Albion’s history since the fall of the Old Kingdom. Their reward for these years of dutiful service is to be kicked from street to street for the amusement of passers-by, a fate they endure with a surprising dignity of spirit. Show your support for these noble fowl with this snazzy Chicken T-shirt! Fable: The Journey Fireball Spell. Have you ever woken up one morning and thought to yourself, “I wish I could fling fireballs from my fingertips”? Well, now you can! You should also congratulate yourself on some nifty alliteration. Fable: The Journey Seren. Seren is unwavering in her loyalty to her master, an ever-present and faithful companion. Reward her with a little love and attention (apples are an acceptable substitute). Fable: The Journey Pet Hobbe. Hobbes are mischievous and highly destructive beasts that plague Albion. As such, what could be a better thing to keep stowed in your pockets? You can get all these items for your Xbox LIVE Avatar via this link. And you can pre-order a copy of the game on our brand new PRE-ORDER PAGE. And last but not least, we have a special announcement of unlockable items when you play Fable: The Journey! These are the in-game Avatar Awards. Fable: The Journey T-Shirt. Made from 100% genuine horsehair, this shirt is stylish, durable – and great at keeping away flies. Fable: The Journey Devourer Mask. The Devourer is an ancient evil with both an insatiable appetite and a snazzy taste in headgear. Fable: The Journey Theresa’s Blindfold. Wearing this blindfold might allow you to see the future. Or it might just make everything dark. XAG is giving away a FREE Beards and Beaks WP7 XBOX Avatar Prop on Facebook. We are going to give this code to one of our Facebook fans once we reach 500 Fans. Recently we made it to 500 Twitter followers and gave away a Beards & Beaks WP7 Avatar Prop to @GamerOnXBOX360 Now we need to reach 500 Fans on our Facebook Page. We need your help to get us there. We are asking all our fans to help promote us to any of your friends that might be fans of XBOX Avatar Stuff or to post about us on any of the gamer sites you might follow. 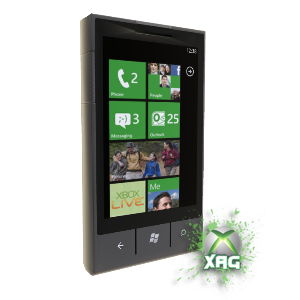 Basically do anything (That is Legal) to drive people to facebook.com/XBOXLIVEAvatarGear Good Luck and thanks for being a fan of XAG.